The EFL SMARTblog: What is love? Did you know the question "What is love?" is one of the the most popular searches on google? Why do you think that is? How many words connected with love and relationships do you know? Make a list. How many of the words below do you know? How many of the words on the left can you match with the definition on the right.? Listen to the clip from BBC Radio Devon's "Pause For Thought" below. You are going to hear Ali Traherne talk about love and relationships. What does she say about the feeling of love when you first fall in love? What happens as the years pass? Do you agree that it's important to remember when you first fell in love? 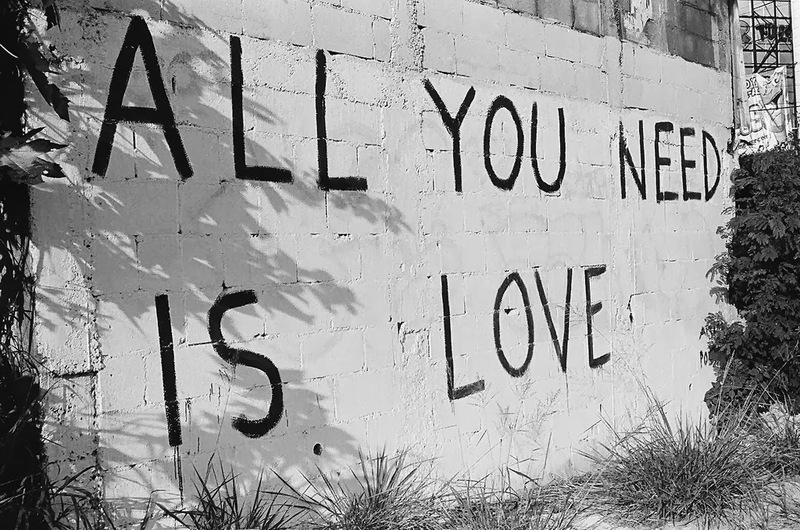 The Beatles sang "All You Need Is Love". Do you agree? Kurt Vonnegut: A purpose of human life, no matter who is controlling it, is to love whoever is around to be loved. Ambrose Bierce in The Devil’s Dictionary: Love, n. A temporary insanity curable by marriage. Fyodor Dostoyevsky in The Brothers Karamazov: What is hell? I maintain that it is the suffering of being unable to love. James Baldwin in "The Price of the Ticket": Love does not begin and end the way we seem to think it does. Love is a battle, love is a war; love is a growing up. Iris Murdoch: Love is the very difficult understanding that something other than yourself is real.